Viscose plant is linked to heavy air pollution, groundwater pollution and (unproven) deaths of factory workers due to chemical poisoning. China currently produces over 65% of the world’s viscose fibre; its 21 viscose manufacturers produced 3.511 million tonnes in 2016 and this amount is expected to continue to increase . As is the case with India and Indonesia who are the other two major producers of viscose fibre, the combination of government support, cheap labour and lax regulations is what has pulled viscose production away from Europe and into China . Shandong Helon Co., Ltd. produces viscose staple fibre (VSF) and viscose filament yarn, their factory is located in Weifang City Hanting Economic Development zone . Brands buying viscose from Shandong Helon include H&M (Sweden), Zara/Inditex (Spain), Marks & Spencer (UK) and Tesco (UK) . Viscose production requires a lot of water, thus most viscose plants tend to be located near rivers or other bodies of water. Shandong Helon’s factory is near an “irrigation channel which feeds the Weihe and Bailang Rivers” . It shall be noted that in the case of industrial pollution in China, often times it is very difficult for local communities to mobilise or protest. Polluting industries bring economic activity and employment to local towns, so villagers are most of the time highly dependent on the industrial activity. Furthermore, it is not uncommon that companies hire security in order to ensure that journalists and investigators cannot report on any wrongdoings of the factories. Corruption and support from secretive governments is another reason that makes it very difficult for residents to stand up for their rights. In this case study there have been some formal complaints from local residents, but “mobilisation” in the form of protests and collective action as such has not occured. It is important to remember that the lack of action in the form of protest does not mean that citizens are unaware or unphased by the pollution. In 2010, it was revealed that Shadong Helon played a large part in polluting the air in the area with carbon disulphide and hydrogen sulfide, both highly toxic chemical compounds that are linked to viscose production . This was revealed by the Weifang Environmental Science Research & Design Institute and as a result the company was ordered by the government to address their pollution problem . However, there is no substantial proof that they did address this issue as they have continued to pollute after 2010. In 2014, pollution was impacting hundreds of thousands of square kilometres . 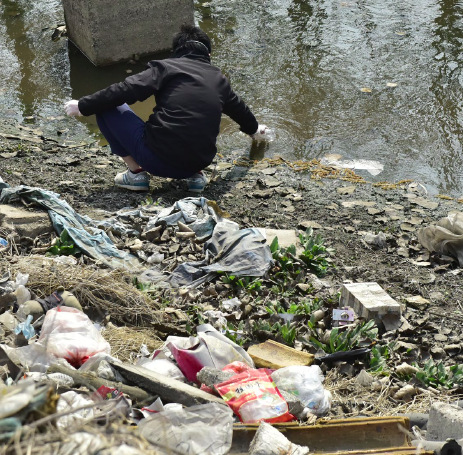 They had found that Shandong was polluting excessively. Shadong Helon was fined this year and the year after. In 2015, nearby local residents complained about the bad smell in the air believed to be caused by the pollution coming from the Shadong Helon viscose plant . According to Changing Markets, a newspaper reported that in October of 2015, “four workers heading to dump Helon’s chemical liquid waste to a coal mine were poisoned and killed” . In 2016, local residents formally complained about air pollution from Shadong Helon. They had observed that the company seemed to be polluting at night, emitting black smoke from their chimneys . This seems to be a common trend across several cases of viscose plants in China where locals have witnessed the plants emitting gas and liquid discharge in the dark of the night. “In December 2016, Weifang Municipal Environmental Protection Bureau ordered the company to strictly implement mandated limits on production and to take effective measures against air pollution” . The Changing Markets investigators also conducted their own tests in the area of the Helon plant. They observed a bad smell around the plant and tested for carbon disulphide (highly toxic) in a nearby residential area, and found that the levels were three times higher than the permitted level . They interviewed local residents who said they had tried to file a petition to the local government, but with no results . The locals do not drink the water from their wells due to the pollution that is causing a bad smell and taste, and they told Changing Market investigators that they were especially careful about not letting their children drink the well water . According to the locals, there have been several cases of factory worker deaths, but they believe they are being covered up by the company . “For example, a Helon worker fell into a pool inside the plant and died during his shift but full details regarding the circumstances of his death had not been disclosed by the company.” . Project Details Shandong Helon has annual production capacity of 70,000 tons of viscose staple fiber, 8,000 tons of viscose filament yarn, 90,000 tons of cotton pulp, 16,000 tons of cord fabrics and canvas series, and 4,500 tons of non-woven fabrics . Why? Explain briefly. The company is in operation and local residents still suffer from heavy pollution in the air, and they cannot drink the well water. They are concerned about their health but many feel like there is nothing they can do to stop the company from polluting. "A Few Shandong Stocks Involved in Illegal Discharge and Bring Serious Air Pollution. Next Year Performance at Stake", 17 December 2014. "Hanting Residents Filed Complaints against Polluting Manufacturer", 1 December 2015.